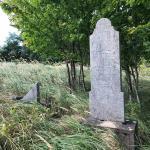 A prayer for unveiling a tombstone, according to the custom of the Jews of Pressburg. . . . This prayer was written to introduce the service at a shiva minyan: Baruch Atah Adonai, Ruach HaOlam, Blessed One-ness, Breath of the Universe, Breathing us in, Breathing us out. Each loss breaks a pattern. We remember and we pray. We remember our loved one, _(name)_ Beloved _(relationship)_ Each loss breaks a pattern, And we remember them. We remember them Because they gave us to ourselves, We remember them Because we loved each other, And we remember Because, well, That is our job. Every loss breaks a pattern, And we pray. We pray and place ourselves in front of the fear, We place ourselves in front of the anger, We place ourselves in front of the grief, We pray and delight in our memories We pray and listen for music that reminds us there will be joy again. We pray for the long repair that happens after the patterns break. And we give thanks for the ancient traditions, Telling the story even when we can’t. Hallelu Yah, breathing in, Remembering us when we cannot. Hallelu Yah, breathing out, Praying with us when we feel alone. Amen . . . Rabbi Mizrahi’s instructions for remembering were first published on her website, here. . . . This eulogy by Andrew Meit was read at Temple Beit Ami in Rockville, Maryland at the funeral of Benjamin Meit. Andrew writes, “Ben would have turned 19 next week. He died from complications from depression and mental illness.” Donations in Ben’s memory may be made here. If you or anyone you know is in need of help, please call 911, or 1-800 273 8255, the national suicide prevention hotline. . . . 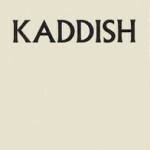 This Kaddish was first published online at Jewish Renewal Chassidus by Gabbai Seth Fishman. Rabbi Oren Steinitz translated the kaddish on the 3rd yahrzeit after Reb Zalman’s passing. . . .
My bones whisper that your pages and your inks will return to the trees and the plants from where they once came. They say that someday they will even come back to life with words never yet heard. . . . Please Lord, Sovereign of Compassion, God, Arbiter of the spirits of all flesh, Parent of Orphans and Judge of widows: God, from the source of Your holiness! May my prayer and the Torah of life that I have learned come before you on account of the soul . . . Categories: Mourning, Kaddish, Conflicts over Sovereignty and Dispossession | Tags: Renewal, Aleph, Abrahamic, Ecumenical, interpretive translation, 21st century C.E., 58th century A.M.
Jews use the Kaddish to mourn the dead, though it has in it only one word — “nechamata,” consolations – which hints at mourning. And this word itself is used in a puzzling way, once we look at it with care. As we will see below, it may be especially appropriate in time of war. The interpretive English translation below may also be appropriate for prayers of mourning and hope in wartime by other spiritual and religious communities. In this version, changes in the traditional last line of the Hebrew text specifically include not only peace for the people Israel (as in the traditional version) but also for the children of Abraham and Hagar through Ishmael (Arabs and Muslims) and for all the life-forms who dwell upon this planet. . . . This is an English language interpretation of Kaddish, intended to capture the spirit of translations/interpretations that I have seen in various sources and also to capture the sound and rhythm of the Aramaic text, including syllables which, when read simultaneously with the Aramaic, rhyme with the Aramaic. . . . Almost two years ago my best friend passed away and I had the honour of chanting this maleh rachamim for him. In mid-May this year another friend approached me and said he really liked the way I did it at the time and could I record it for him because he was going to do it too for an unrelated unveiling. So, I recorded it on May 18, 2011. I didn’t compose it. It’s a traditional tune, but it’s my voice and I hope someone else can perhaps learn it with this material. The more resource there are out there through means such as Open Siddur the better we can learn and share. . . .
By Andrew Meit, written upon the death of his mother, Sonie Meit, the 28th of Sivan 5771 –כ״ח בְּסִיוָן תשע״א. . . . Tired of people who can’t tell their kiddish (blessings for the Sabbath) from their kaddish (prayer for the dead)? Well, it sets Samuel L. Jackson off too! But he found a way of making a bracha (blessing) and mourning the dead at the same time. Now I can’t vouch for the origins of his nusaḥ (custom) but it sounds very effective! Most people haven’t noticed, the only real part from the Bible is that last section, the first part is actually his own spiel: . . .